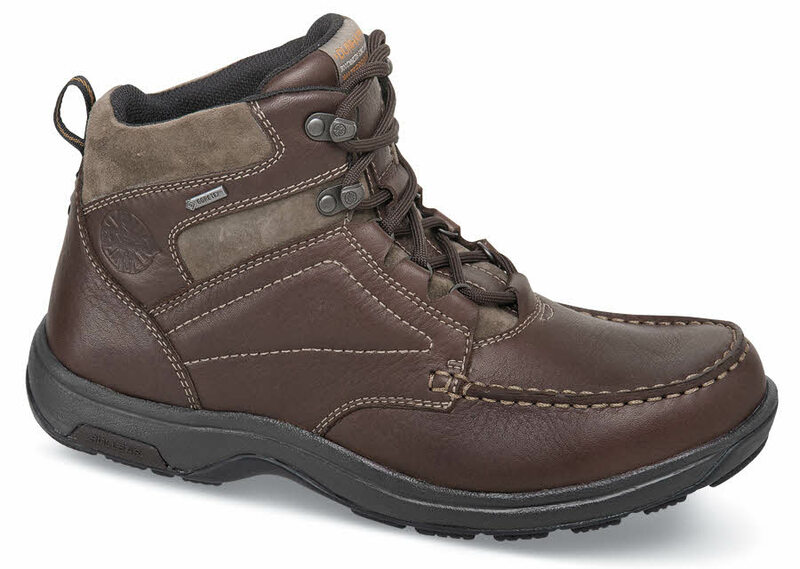 Dunham’s “Exeter” waterproof chukka has full-grain leather uppers lined with Gore-Tex® to keep moisture out and comfort in. EVA pods in the heel and forefoot provide cushioning. 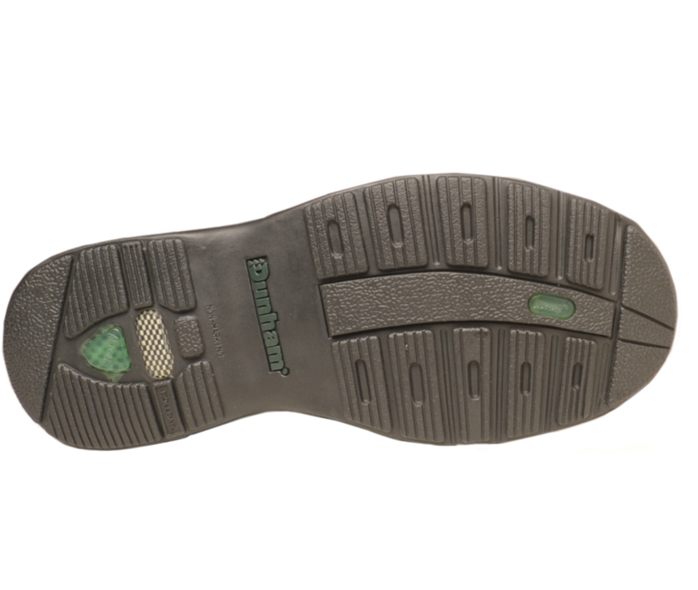 Dunham's R-Bar® assures rearfoot stability and motion control. Non-marking outsoles are slip-resistant. Limited stock in men’s 4E and 6E widths in sizes shown.